A mere 2,820 miles (4,540 kilometers) have been driven. Before Bugatti was building the Chiron, even well before the Veyron was introduced, the French automaker built a limited number of examples of the oft-forgotten EB110 supercar. Between 1991 and 1995 just 139 vehicles rolled off the production line, each at a cost of around $380,000. While most examples of the rare supercar are now confined to collections and museums, at least one example is heading to auction where it could find its way your private collection… pending you have the cash to spend. 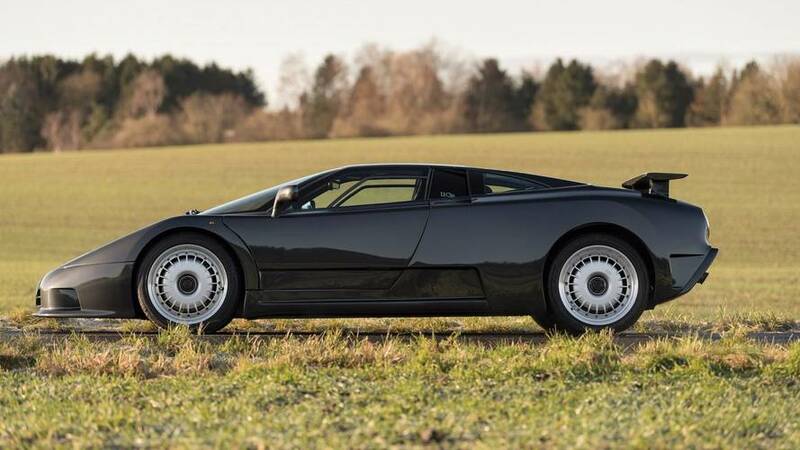 At the upcoming RM Sotheby’s Arizona auction in January, this rare and well-kept Bugatti EB110 will cross the auction block. It’s had only one owner since new, and has driven a mere 2,821 miles (4,540 kilometers). Under the hood is the factory-derived, quad-turbocharged 3.5-liter V12 producing 550 horsepower (410 kilowatts). 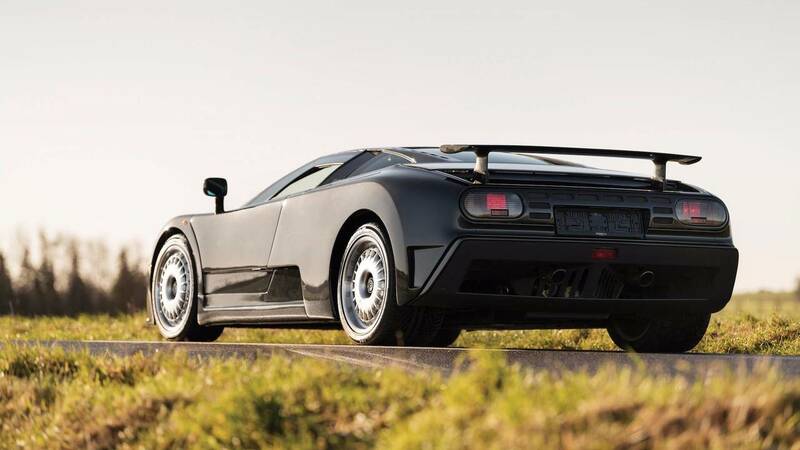 From a standstill the EB110 has the ability to sprint to 62 miles per hour (100 kilometers per hour) in just 3.6 seconds, and continue on to a top speed of 213 mph (343 kmh). In 2005, the car in question was legally approved for road use in the U.S., and was driven only marginally by its then owner before being put into storage. The car was started up regularly and has remained in running condition since then. The Bugatti was last serviced in October of 2017 by EB110 specialists at B. Engineering, and is certified to have its original paint, interior, engine, and drivetrain. Included in the sale is the supercar’s original purchase invoice, photos of the delivery in 1995, a tool kit, a care kit, and all of the documents chronicling its U.S. federalization. 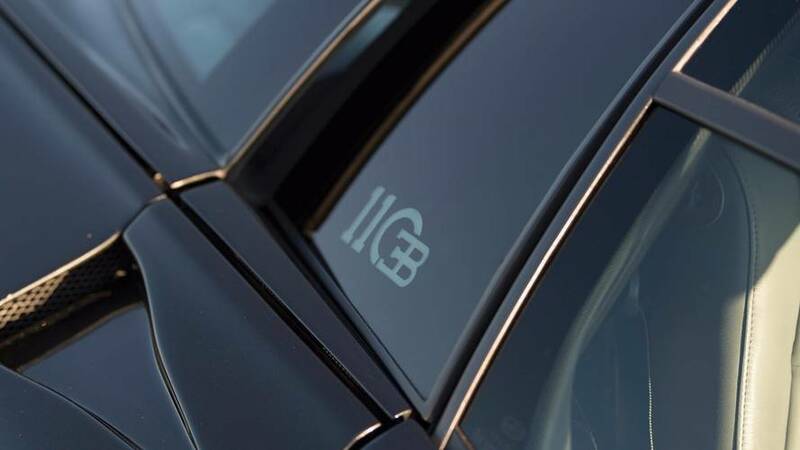 The vehicle is fully recognized by the Bugatti Club of America, and is one of just a handful of examples that remains completely original and in tact. With that in mind, don’t expect it to go for cheap. The auction house estimates that the Bugatti could fetch anywhere from $750,000 to $950,000 when it crosses the block later next month – making it nearly as expensive as a new Chiron. 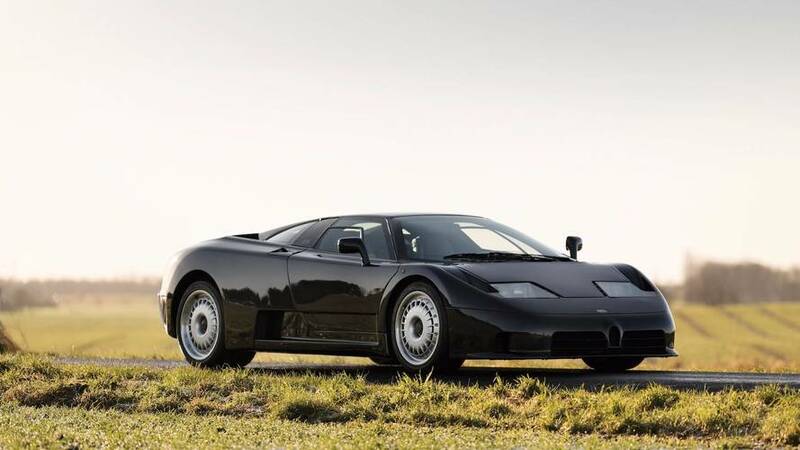 With a 3.5-litre V-12 fitted with four turbochargers at its heart, the Bugatti EB110 GT seemingly defined the term “supercar” when it debuted in September of 1991. With styling penned by Giampalo Benedini and Marcello Gandini, bearing his signature “scissor doors” and engineered without any compromises, the EB110 GT was certainly one of the most technologically advanced cars of the 1990s. 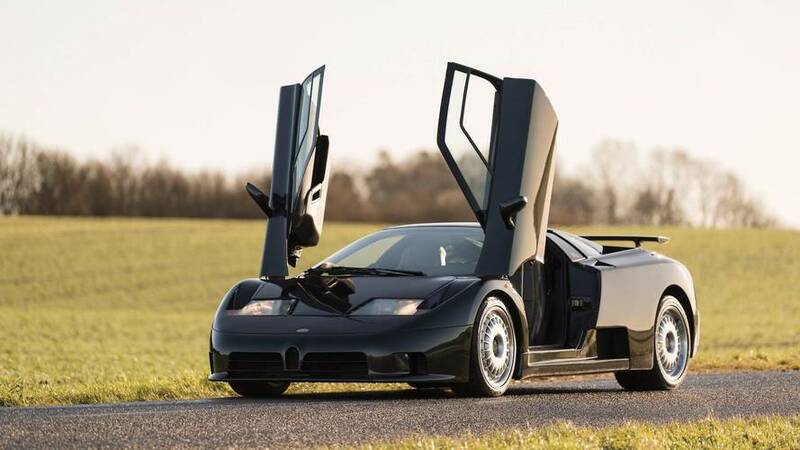 With a full carbon chassis built by aircraft company Aérospatiale, the performance was earth-shattering, and the EB110 GT boasted a top speed of 213 mph, putting it at the very forefront of performance in 1991 and leaving it still capable of keeping up with today’s current crop of performance cars. According to the Bugatti build sheet on file, the order for this EB110 GT was placed in October of 1993, and the car was allocated to the German market. By November of that year, the car had been built and was deemed ready for testing. Successfully passing all of its pre-delivery testing on New Year’s Eve, the car was subsequently declared ready for delivery. Finished in the rare Bugatti EB Nero metallic over a dark blue interior with grey seats, the car was further optioned with matching dark blue leather-trimmed luggage. This magnificent Bugatti is the only known car with these specifications. Due to the economic climate of the mid 1990s, the Bugatti would sit at the dealership until bought new by August Nüechter, who purchased the car in 1995 from Autosalon Poh. Nüechter drove the car sparingly and by September of 1995, the car had covered only 300 km. At that time, the car was driven from Nüechter’s home to the Bugatti factory some 750 km away, where the car was arranged to have its 1,000 km service. 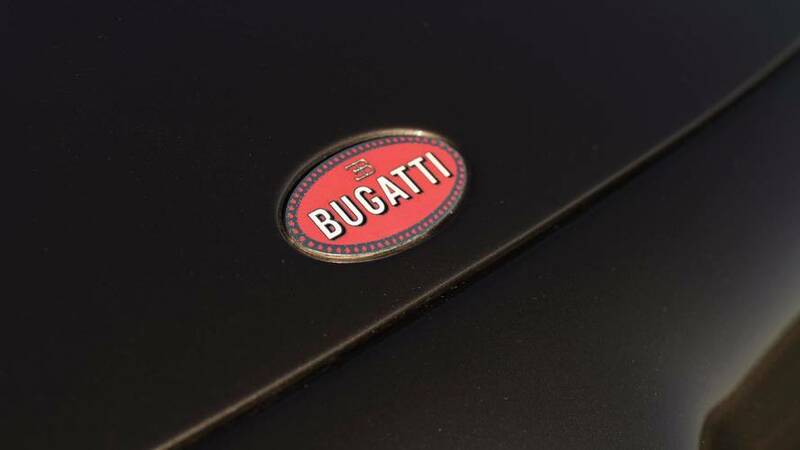 Unaware of the fact that Bugatti was in dire financial situations, Nüechter arrived at the factory on the very morning that the company was declared bankrupt, and was met by frustrated workers outside. Still needing a service on his EB110, he organized a service to be undertaken with capable local experts. Returning with the car to his native Germany, the Bugatti was seldom driven before Nüechter moved to the U.S. in the late 1990s. Of course, Nüechter did not want to leave his EB110 behind, and arrangements were made to have the car shipped to the U.S. Upon its arrival, J.K. Technologies was commissioned to federalize the car and it was approved for road use in the U.S. on 18 August 2005. The car was driven very little before it was put into storage in the fall of 2005. However, the car was most definitely not forgotten and was regularly started to ensure it remained in good running condition. Today, the car is presented in road-ready condition with a fresh service from October of 2017 by the EB110 specialists at B. Engineering led by Gianni Sighinolfi and Federico Trombi, who were respectively in charge of production and research when the EB110 was produced. At this time, B. Engineering, who hold the old factory records, certified the car as having its original paint, interior, engine, and drivetrain. Presented in remarkably well-preserved condition, the car is accompanied by its original purchase invoice, photos of the delivery in 1995, tool kit, and car cover, as well as documents chronicling its U.S. federalization, and its original manuals, including its original service book. Further to this, the car’s original luggage still accompanies it and is in like-new condition. The grey leather seats are in as-new condition with minimal signs of wear, and the original paint shows beautifully throughout. An important part of Bugatti’s history and a vehicle now recognized by the Bugatti Club of America, the EB110 bridges the gap between the fabulous grand prix racers and flamboyant road cars of the 1920s and 1930s to the Chiron of today. The EB110 GT is a very significant automobile and is worthy of inclusion in the world’s finest collections of automobiles. With only 139 EB110s produced, finding an all-original EB110 is very rare, and finding one that is offered from single ownership in a unique color combination and that is U.S. road legal is next to impossible. This EB110 GT could very well be the best of its kind.